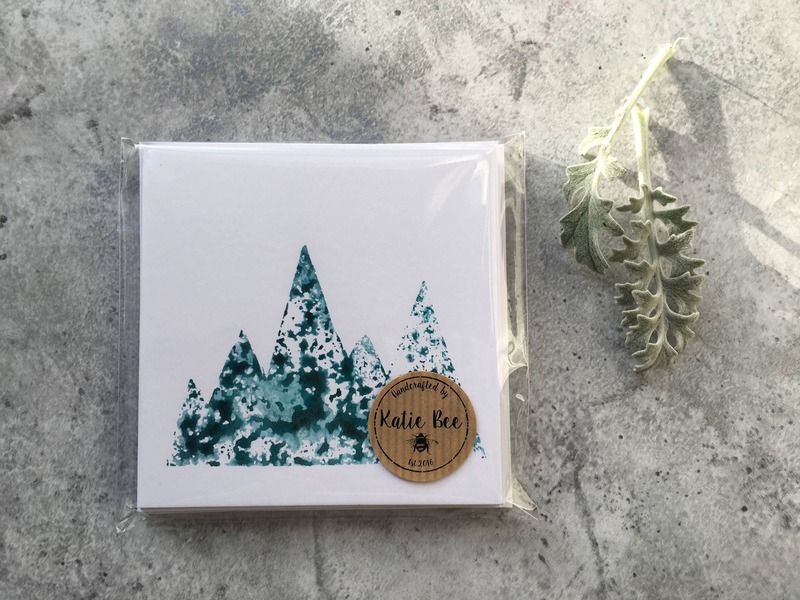 These little mountain cards are printed by hand using a custom made stamp and watercolour paint. 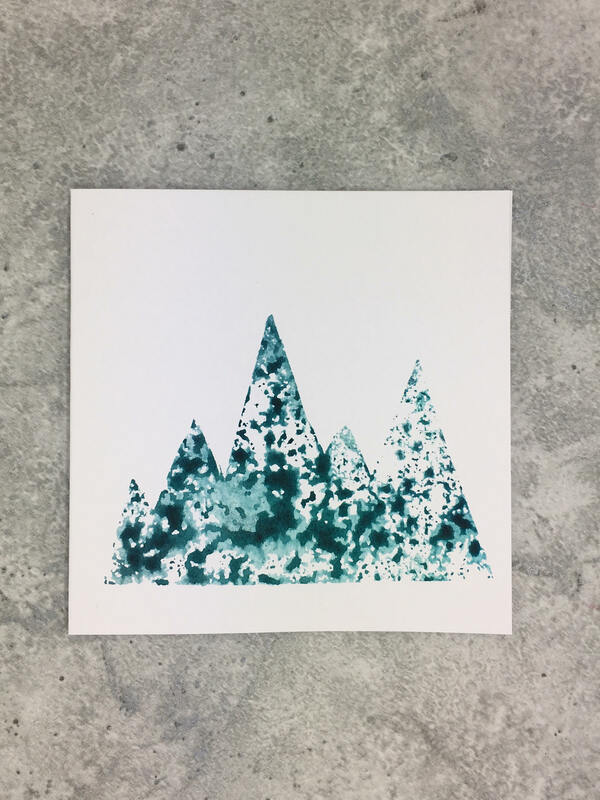 Due to the nature of the print, every beautiful mountain will slightly vary in pattern and colour. 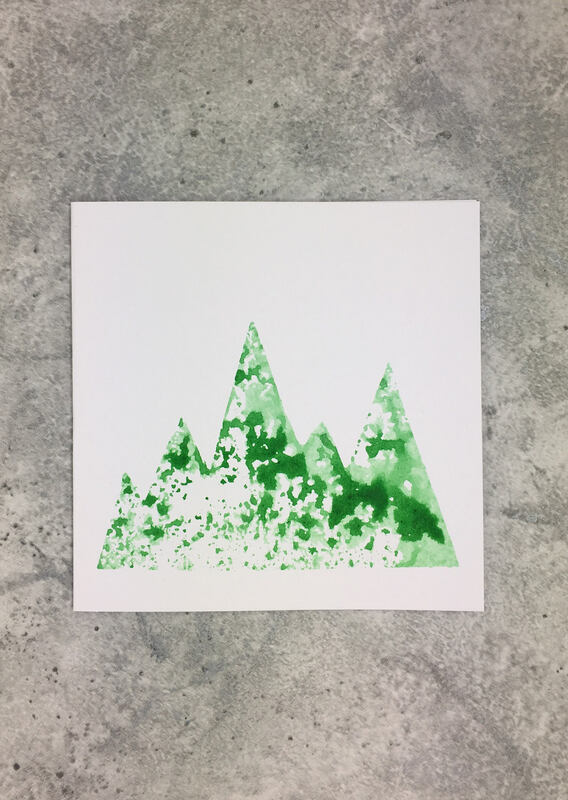 It is available in fern green and teal! 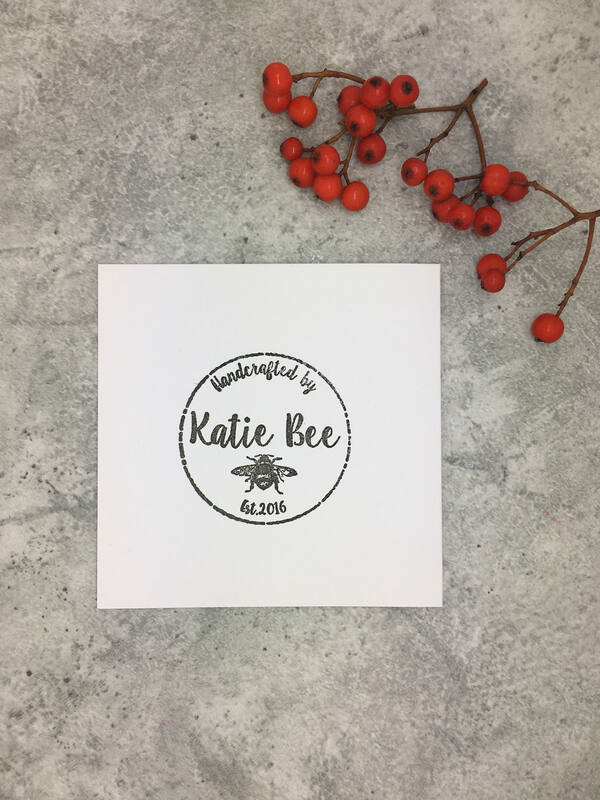 These sweet little cards are 4” x 4”, 250gsm and have the Katie Bee logo stamped on the back. 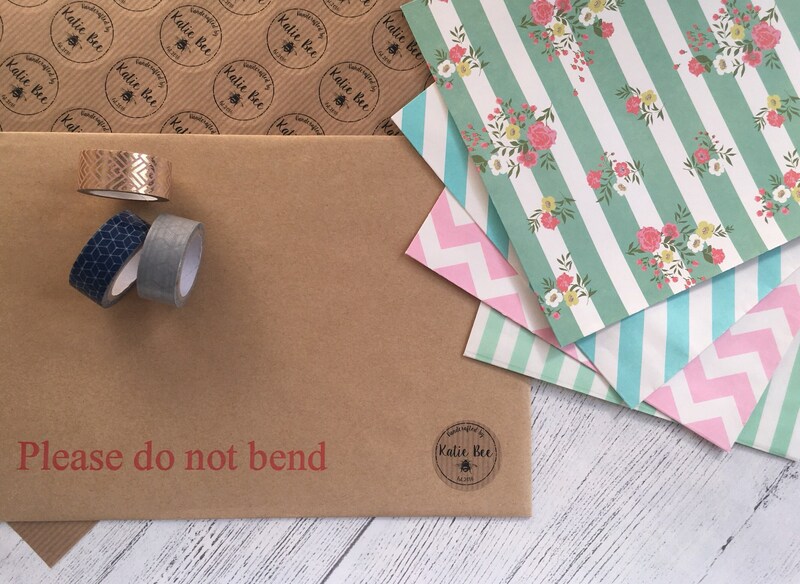 Your card comes with its own wee envelope, sealed in a cello bag and posted safely to you in a board back envelope. 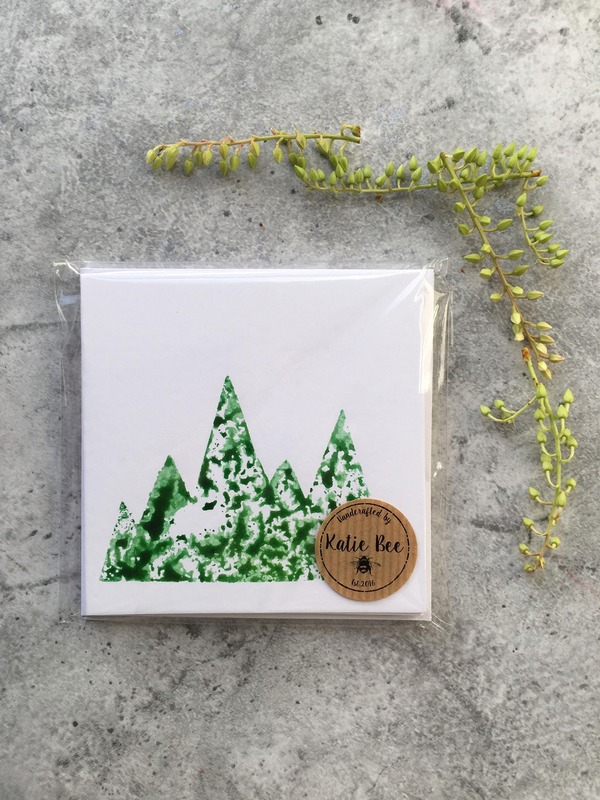 Explore the mountains and world beyond with this awesome card!